1. 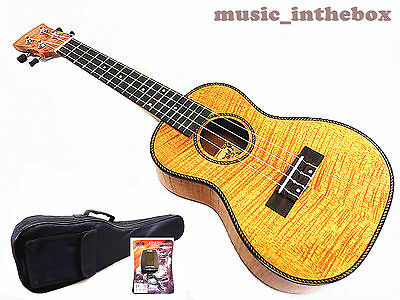 This item is 24” Concert Ukulele. 2. The all of photos are sample. We took photos from one of the same model violin. AK / HI / APO /PR need to charge $7.99 shipping cost for parcel post of usps. Upgrade the priority mail of USPS need to charge $24.99 shipping cost. 1). Woodnote Brand / Special Designed and Good Quality. 2). Okoume Nick and Tiger Flamed Mahogany on Top/ Back/ Side/ Body . 2). 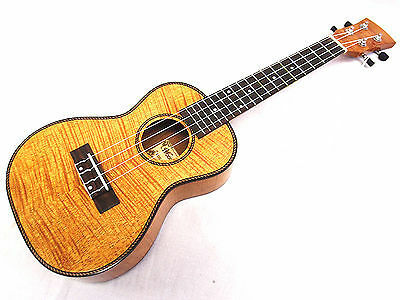 The Ukulele equipped with Rosewood Fingerboard ,Rosewood Bridge & Ivory Inlaid. 6). The Ukulele Pre-tested at the factory to make sure the playability and quality.